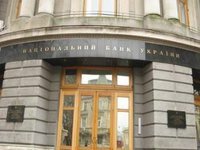 The National Bank of Ukraine (NBU) has worsened expectations as of the growth of the Ukrainian economy in 2019 and predicts a slowdown to 2.5%, according to the central bank's website. "In 2019, real GDP growth will slow to 2.5% (2.9% in the previous forecast), due to the waning effects of higher social standards, the tight monetary conditions required to bring inflation back to its target, as well as tight fiscal policy resulting from the need to repay large volumes of public debt," the NBU said in a statement. The forecast for GDP growth for 2018 and 2020 remained unchanged at 3.4% and 2.9%, respectively. "Economic growth will continue to be mainly driven by private consumption, which in the current year will be fueled by the persisting high rate of growth in real wages on the back of high migration," it said. Meanwhile, investment growth will be restrained by businesses' higher labor costs. However, the contribution of net exports will remain negative over the forecast horizon, as imports will satisfy a significant portion of domestic demand and capital investment needs, Ukraine's central bank forecasts.